If you've been dreaming about a Rear-Wheel Drive vehicle that offers Gas-Pressurized Shock Absorbers, Multi-Link Rear Suspension with Coil Springs, and Towing Capability with Trailer Sway Control, then the new Jeep Grand Cherokee is a dream come true! With its 1,180 Pound Maximum Payload, Engine Oil Cooler and 3.27 Rear Axle Ratio, it's obvious why the Jeep Grand Cherokee will meet your driving needs. The Grand Cherokee continues its tradition of rugged performance and stopping power by incorporating 4-Wheel Disc Brakes with 4-Wheel ABS, Front Vented Discs, Brake Assist With Hill Hold Control, Front and Rear Anti-Roll Bars, and Electric Power-Assist Steering. The Rear-Wheel Drive Transmission also features Driver Selectable Mode and Sequential Shift Control as well as Steering Wheel Controls. That's right! You can control the Grand Cherokee's many features while your hands never leave ten and two. 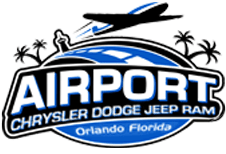 To climb into a new Grand Cherokee near Winter Park, Kissimmee, and Oviedo, FL, Contact Airport Chrysler Dodge Jeep in Orlando, FL to see us in person and take a test drive. Our team of fun and helpful Sales Associates will deliver a pleasant, low-pressure shopping experience as they introduce you to your next new Jeep. 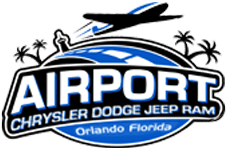 If you are in the Orlando, Florida area and in the market for a Jeep that delivers the driving experience you need with the features you want, we recommend that you test drive the Jeep Grand Cherokee at Airport Chrysler Dodge Jeep. After you drive home in your new Grand Cherokee, remember that our dealership also offers Service on-site for routine maintenance or unforeseen repairing your Jeep may require. Visit us today for an affordable price on a new Jeep Grand Cherokee!